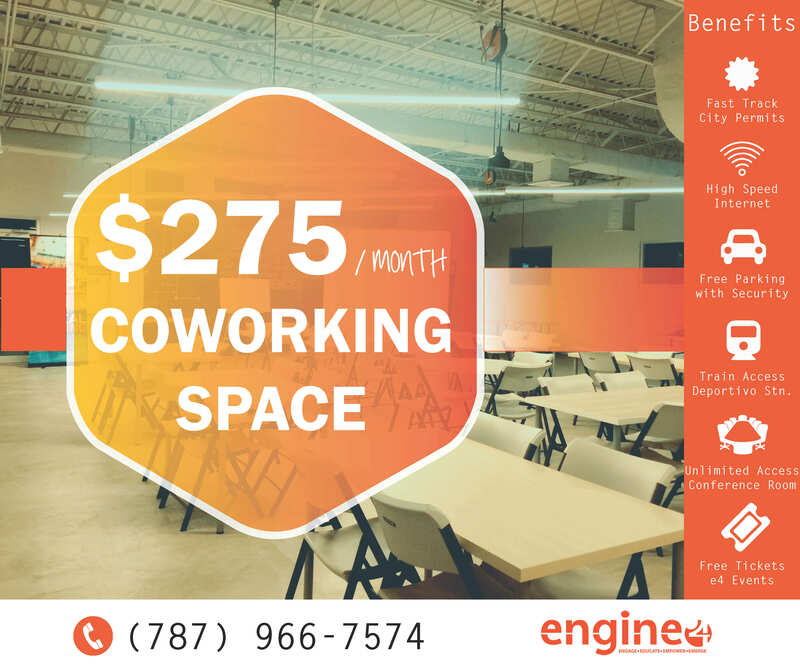 Engine-4 is the largest Coworking Space in Puerto Rico with over 24,000 sq. ft. of mixed-used facilities located in Downtown Bayamón. 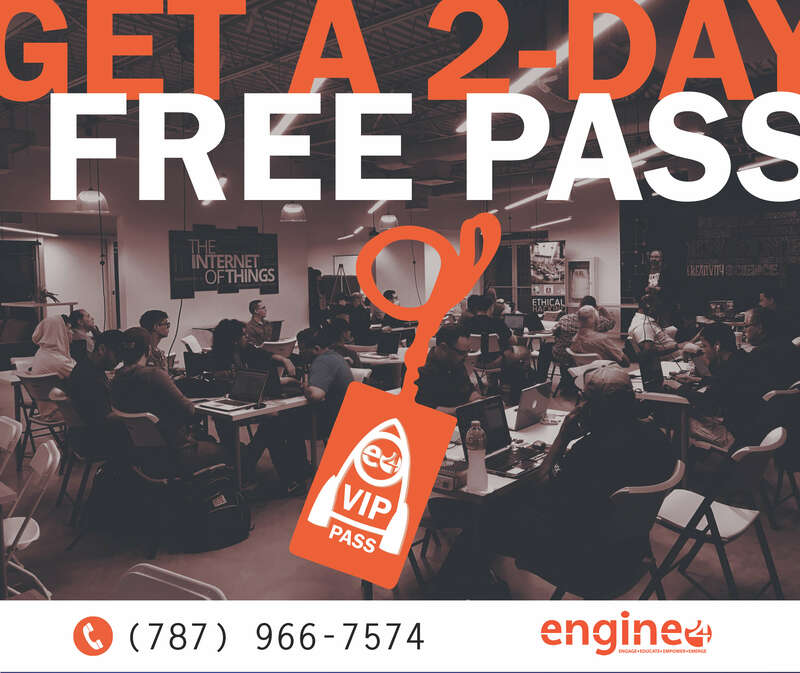 Our privileged location sits at the convergence of some of the major access routes in the metropolitan area and with a list of offerings unlike any other, makes Engine-4 the most accessible co-working space in Puerto Rico and the most user-friendly space to access, work in, collaborate, network, and grow your business. HOT DESK: All you need is your laptop to join us in the shared office space. Say hello to your coworking neighbors, log into our free WiFi network, and you’re in business! VIRTUAL: Work remote. Ideal for those that want to establish a business address in prime Downtown Bayamon and/or just want a mail address and management services. PERSONAL: Your own private desk. These desks are equipped with lockable file cabinets and are reserved exclusively for those that rent them monthly. PRIVATE: Office suites. We offer a variety of private offices accommodating anywhere from 2-8+ desks. STUDENT: Designed for starters. If you are 25 or under and enrolled in school or college this is for you. Bring your Student ID with your class program and build your own path of working opportunities in our coworking area. 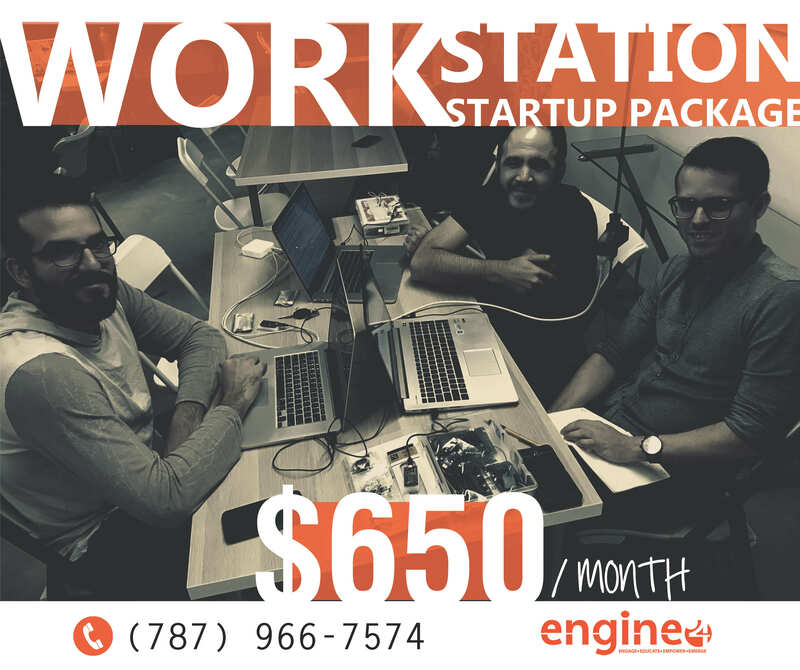 OFFICE PACKAGE: For Startups. For those looking a professional business place but can't afford a private office and the operational costs of it, this is a great way to start with your team. 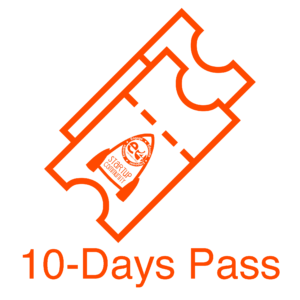 Still listening about the coworking space concept, but not sure if this is for you? We at Engine-4 make it easier for you. Request now a FREE 2-DAY VIP PASS. Yes, its free! Then you can decide yourself, if you like the concept of coworking space. 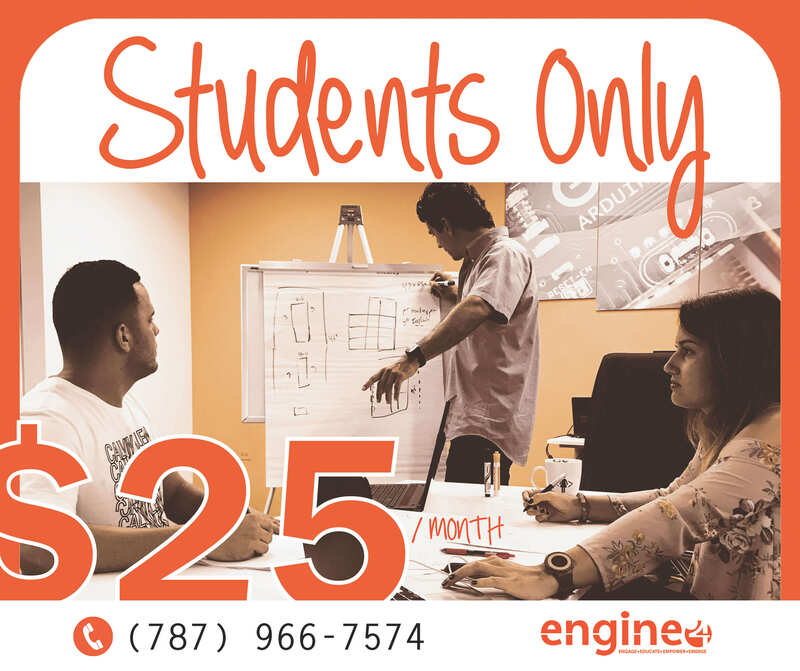 If you are 25 or under and enrolled in school or college this is for you. Bring your Student ID with your class program and build your own path of working opportunities in our coworking area. No more noisy coffee shops! Bring your own device like a laptop or tablet and join us in the Coworking Space area. Say hello to your coworking neighbors, login into our free WiFi network, and you’re in business! Never forget a delicious coffee from The Makers Café located at the main hall here in Engine-4. Do not want to being involved in the issues of renting an office and ALL the expenses? For those looking a professional business place but can't afford a private office and the operational costs of it, this is a great way to start with your team.